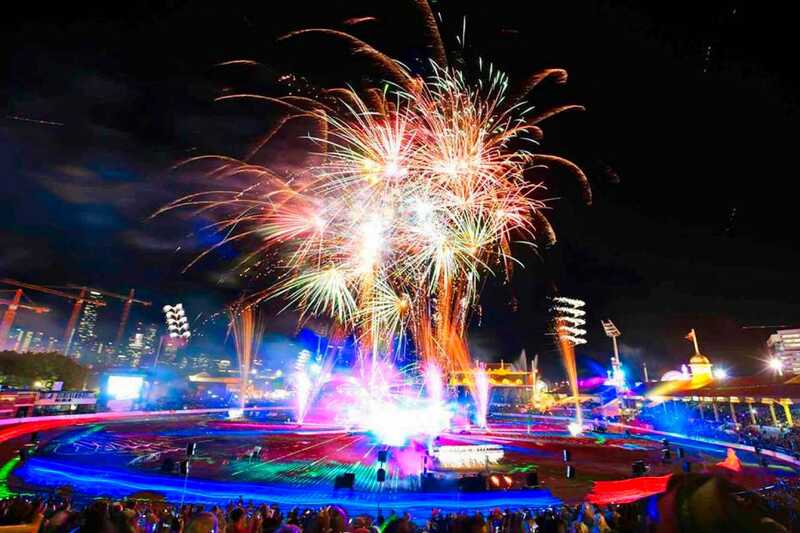 The creative team at Howard & Sons Pyrotechnics has developed a new multimedia production combining fireworks, music, lasers, lighting, waterscreens and projections. All of these elements, when used simultaneously, produce an innovative attraction that will take your audience into this cutting-edge dimension of spectacular entertainment. We design each individual performance to astound your target audience, projecting images that relate to the theme of your show while taking your mesmerised audience through a three-dimensional piece of art or story. 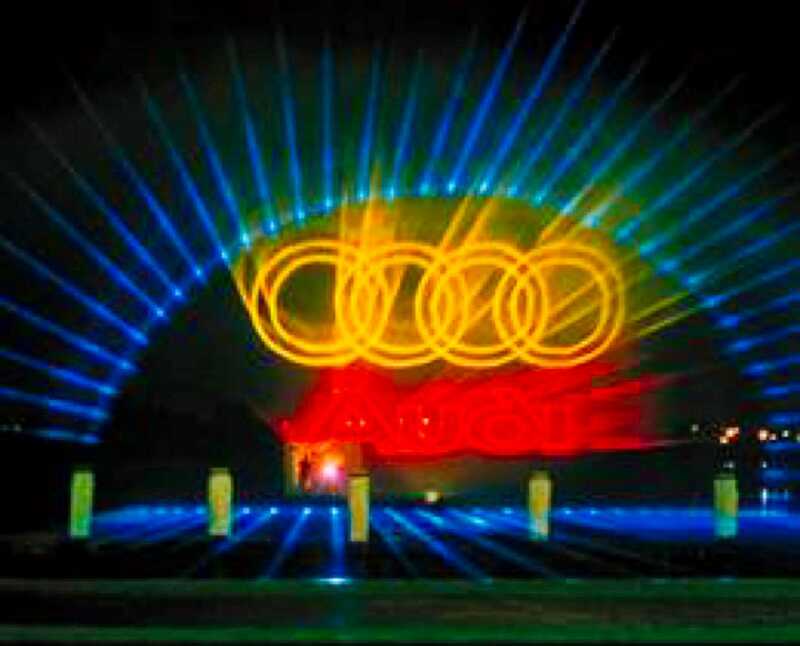 Laser and video images appear at the most dramatic moments, moving across a waterscreen while the music soundtrack and voiceover narrates your choice of story or theme to the public. A waterscreen pushes up flat jets of water into the air, creating the right medium for the imagery projection. This is a relatively new technique which creates the equivalent of holographic visuals where images practically hover in the sky. A large local water source is necessary, making this the perfect solution for lake or riverside plots or buildings, or marine environments. 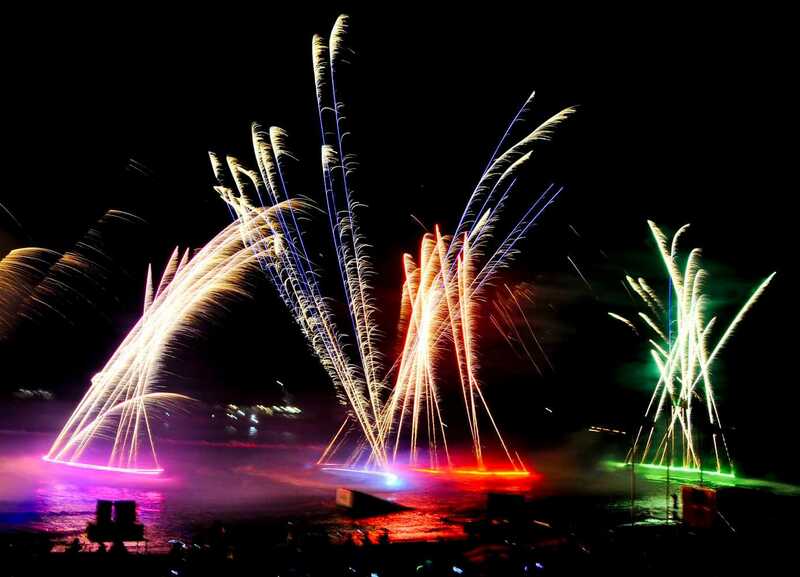 Imagine hosting a state-of-the-art event such as a film night, the introduction of your new hotel complex or footage at a jet-ski event where your performers synchronise their skills through fireballs and laser beams. 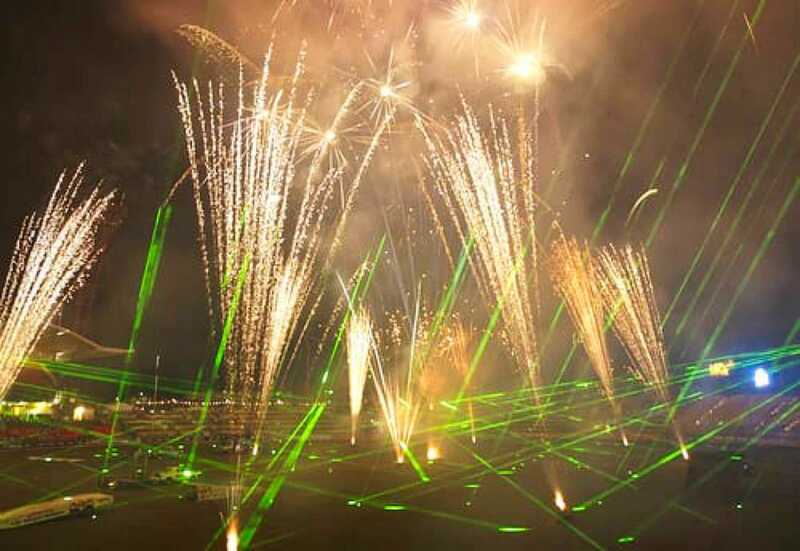 Our team of experienced pyrotechnicians, multimedia engineers and special effect experts are able to integrate your choice of media with lasers and pyrotechnics to completely customise this futuristic experience. 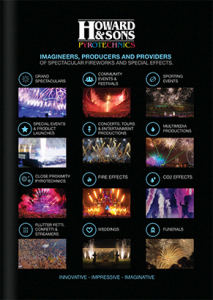 Howard & Sons Pyrotechnics state-of-the-art computer design software and firing systems enables all of our perfect performances to be digitally programmed, simultaneously incorporating audio, movement, light and other visuals and allowing fireworks to be fired from an unlimited number of locations. Our incredible multimedia productions are, in short, the ultimate in visual and audio extravaganzas. For more information, please contact our head office or your local Howard & Sons representative. See a 60 second showreel of some of our multimedia projects projects. 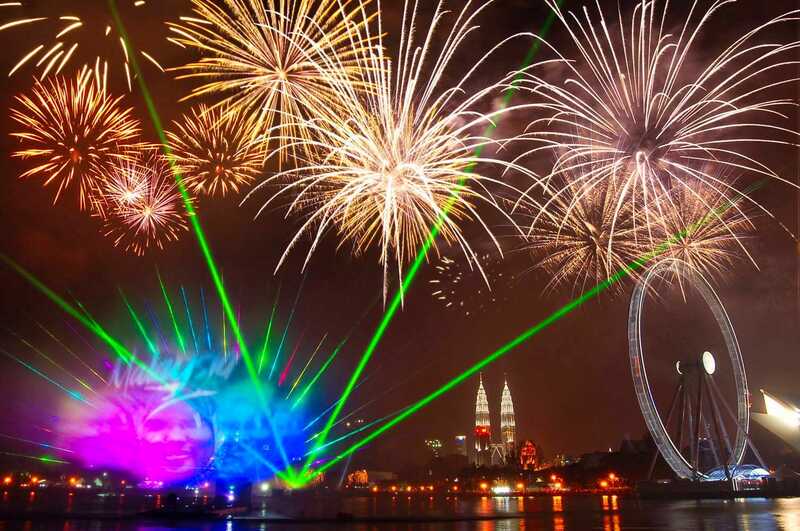 The creative team at Howard & Sons Pyrotechnics has developed a new multimedia production of fireworks, music, lasers, lighting, waterscreens and projection. All these elements can be combined to produce an innovative attraction that can take the audience into another dimension of entertainment.